The Copic Original Markers are one of the highest quality markers and available in 214 colors. Used by professionals worldwide, they contain blendable ink and are exported from Japan. 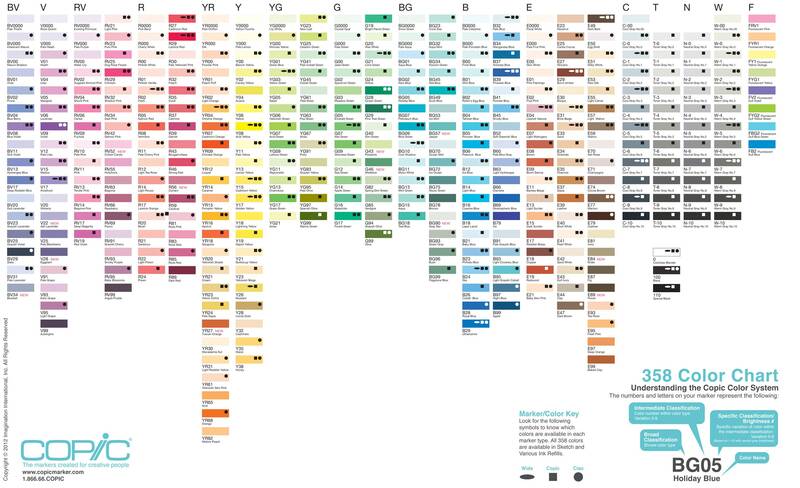 The Copic colour system contains useful information that can help you decide on the best option. They contain the colour family, saturation and brightness information.